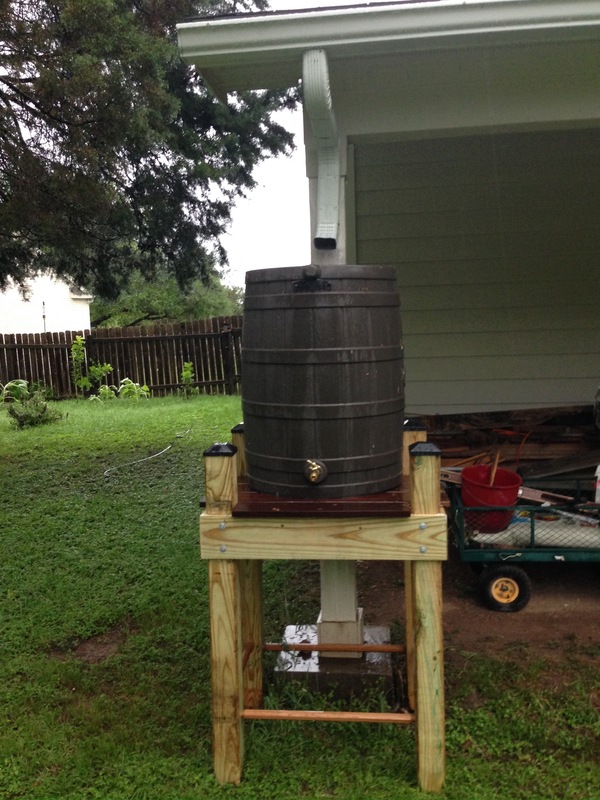 We have a new rain barrel out back. Just in time for today’s rain. Installed yesterday, and today it’s full! Fyi, City of Austin offers modest rebates for rain water harvesting devices. Check it out if you are interested, or see if your city offers something similar. Previous Previous post: Painted poppy.